How to save money when moving across the US? Are you looking for efficient ways to save money when moving to the other side of the country? We are here for you. We know how overwhelming all the costs attached to a move can get. And that’s on top of all the other move-related stress. The American Moving and Storage Association assessed the median cost of an interstate move goes up to $4,300. But you should know that there are ways to save money when moving a long distance. 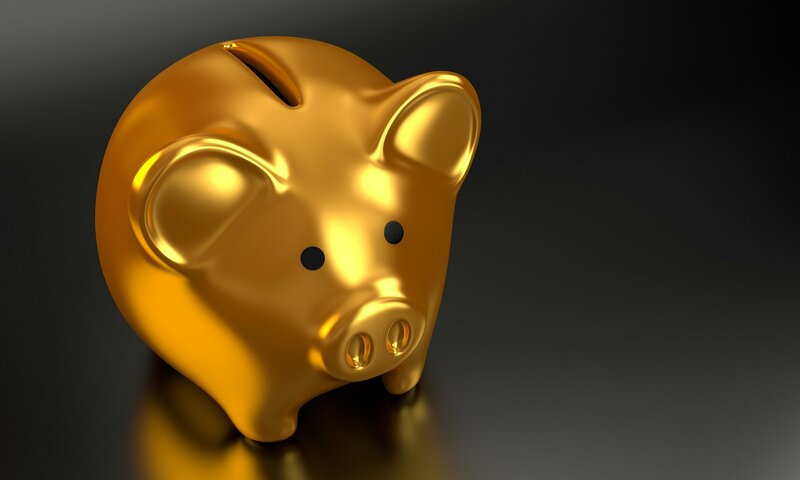 Here are 10 ways you can make expenses more bearable on your long distance relocation. Even though few things beat the low stress and reliability of full-service movers, we understand you’d want to explore your options. First get your belongings estimated for an easy and organized move with Orlando long distance movers. Then you’ll know what’s the best road for you. It’s best if you leave such a huge project to the experts who know best. Portable moving containers can safely transport anything and everything. We always advise you to hire reliable and reputable professional movers like AAA-Insta Move Orlando. They have experience with such responsibilities, since they move people every day, unlike you. On the other hand, renting a portable moving container is one of the most popular alternatives to using full-service movers. The reason behind it is that a portable moving container is much more affordable than hiring pros. Also, you can keep portable moving containers for storage before and after the move. 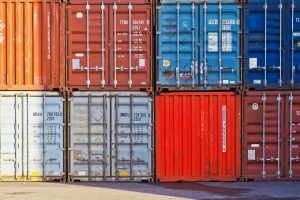 Prices will vary on the length of time you decide to rent the container and its size. Renting a moving container will cost from $2,000 to $3,000 per month. Compare that to the moving quotes you’ve gotten from moving companies you are looking at, and decide what is more convenient for you. To move using a moving container, you have to fill it with your boxes, and the container company will do the rest. Gather and use as many free moving supplies as possible. Find boxes, bubble-wrap, and newspaper from nearby retailers, marketplaces and grocery stores. Several places we found for you to save money when moving long distance by picking up free moving supplies are Craigslist, local liquor stores, bookstores, friends and neighbors, offices, recycling drop-off points, grocery stores, Freecycle, local schools and big-box retailers. We also recommend asking friends and family for boxes that they might happen to have. If you are willing to drive across the country, consider renting a moving truck yourself. DIY moves could potentially be saving thousands of dollars. But this is not for everyone, and consider yourself warned. Experienced and reputable moving companies are equipped to handle all the issues and challenges that may arise during a long distance move. They know how to load and manage your boxes and items. 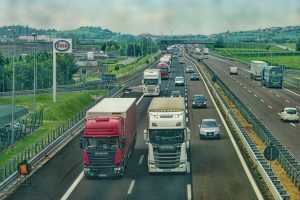 There is an option to rent a truck for a one-way move which would have a fixed price for the truck, the distance traveled, and moving insurance. However, then you have to pay for additional fuel costs during transport. Furthermore, keep in mind that rented trucks don’t get excellent gas mileage. To be exact, a typical truck rental only gets around 10 mpg. If your relocation is 2,000 miles, that will take around 200 gallons of gas to get you to your destination. If the rental’s capacity is at 30 gallons, you’ll stop as many as 7 or 8 times for refuel. Again, if you hired professionals, you will not have to worry about these numbers. Are you a good driver and would be comfortable driving across country? It’s not for everyone. One of the best ways to transport your belongings across the country is to use a large freight moving trailer. A freight moving trailer company will deliver a large trailer (28 ft.) to you and give you three days to load it. After that deadline, the company will pick it up and relocate it to your new home. The price of renting a freight trailer is usually more affordable than hiring a moving company. An example of an approximate cost of a long distance move with a moving trailer is $3,015. Time is money, they say. When you decide to move can make a big difference. You could save money when moving off-season. Avoid peak moving days in the spring and fall. A few popular moving dates to avoid include weekends, the months between Memorial Day and Labor Day, and the beginnings and last days of the month. Go for a mid-day, mid-month move between the months of October to April. If you happen to be a minimalist, shipping your belongings could be the way to go. If you don’t own a lot of stuff, you could ship your whole household across the country. In addition to shipping items via shipping services, you can also ship larger objects through various service providers online. Search the Web to find the right shipping partner for you and your family. 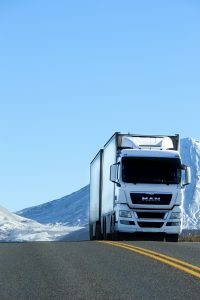 All you would have to do is create a listing for your shipment, and select the service provider – with an offer that suits your exact needs and price point. Nowadays there are so many options for a long haul relocation. 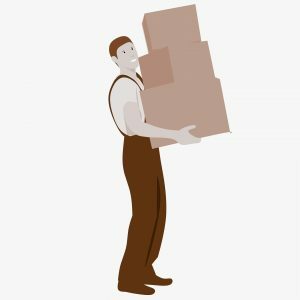 Can your company pay for the move? If you are moving because you just got a new job, congratulations. It is a good time to remind you to find out about your company’s relocation policies. Many companies will pay for all or part of the move, so it’s definitely worth checking with the HR department. If your company does pay for the move, it’s important you save all moving related receipts. Your expenses must be documented so that you can be reimbursed for the relocation. Check out Orlando Commercial Moving Company for the best commercial relocation experience. And hurray for finding the best way to save money when moving, lucky you. Looking for someone to help you load and unload your truck rental? Good news, there are a lot of moving labor alternatives instead of hiring a moving company. These services may also conveniently include junk removal, donation pickups, and packing help. By hiring labor only instead of a licensed moving company, you could save thousands of dollars, but be sure to thoroughly research your options. Hiring labor means saving time and cutting down on your stress. Absolutely ask all the favours you could ask. Besides or instead hiring labor, you can always “hire” friends and family to help. If you really need that cheap solution, go for it. But remember, it could be the slowest solution. You will have to make compromises because of other people’s schedules, and your friends might not be as careful as experienced professionals. After you’ve done the research on moving companies, ask them for quotes and discounts. Do the same with moving containers, truck rentals and moving supply retailers that might offer deals.